As an augmentation or addition to conventional therapy and treatment, art therapy can hold great benefits for mothers who are suffering from postnatal (aka: postpartum) depression. The uses and benefits of art therapy are incredibly extensive. It is a form of expressive therapy that engages creativity and imagination to stimulate the artistic process in order to bring around healing and balance in the emotional, physical, psychological and spiritual states of a person. Here is how art therapy can help this sometimes very debilitating problem. I have worked as a movement and dance therapist for many years, and it is always such a deeply enriching experience to incorporate various art mediums into movement healing work. The beauty in all of this, ultimately, is observing the profound shifts and changes in people as they come to a deeper understanding and love for themselves. For mothers seeking relief from postnatal depression, the first step would be to recognize what it is. See it for what it is. As a society, we need to release the stigma surrounding postnatal depression. This is not a rare occurrence, so no woman should feel ashamed or segregated if she finds herself navigating these difficult waters, thrown into turbulence by what are very natural swings in hormonal changes. Take extreme lack of sleep and intense changes to lifestyle and relationships, and throw that in with the ever mixing hormonal cocktail… well, it really makes me wonder if we shouldn’t adjust our thinking to an understanding that all women who have recently given birth will come across as ‘depressed’. For any women who are experiencing the strong currents of postnatal depression, and you feel that art therapy would be of benefit to you, here are some tips to take with you on your journey. How Can You Begin the Creative Healing Process? Remember it is not about talent or having a creative ‘gift’. Truly, we are all creative. The therapist will guide you in the art project, although the feelings you express and how you express them are entirely up to you. If you are seeking art therapy to help treat postnatal depression, you can relieve yourself of the notion of impressing people with your artwork. Don’t worry, this is a therapeutic process, not an art gallery! Creative arts do not have to mean painting and drawing. Dance, ceramics and sculpture can be part of art therapy too. Perhaps you have always wanted to try scrap booking, or maybe you’ve had your eye on a graphics design course. If you have a local arts center, see if they have some classes open to the public and sign up for a couple. Choose something that fits you well and that you truly enjoy doing. Emotional release is a big part of how art therapy can combat postnatal depression. While hormones play a significant role in postnatal depression, there may be underlying issues that are trying to surface during this vulnerable time. The most important thing is not to hold the emotions back, or hold them in. When you feel them coming to the surface, do your best not to shove them away. The release is an integral component to your true healing and recovery. Two very good methods are to let you emotions out into a pillow, or go into a bathtub and release your emotions vocally while under the water. There will be no sound, and you may feel much more comfortable releasing this way initially. Sound, in general, is a powerful releasing agent. Playing music that gets things stirring is a fabulous way to begin to bring forth emotion that you know is there, but is unwilling to move. Creative arts can show us ourselves. In one type of art therapy, participants make and decorate plaster masks of their own faces. They then decorate the masks to express how they feel. This can be very revealing, and helpful, in so many ways that one may not comprehend until they have experienced the process. Painting, drawing, clay, pottery, wiring jewelry, photography … the abstract, the emotions, can all be put into something tangible. This can help the depressed woman get a handle on emotions that seem so incredibly huge and much too overwhelming. Art therapy helps to put them in perspective, and to press the ‘deflate’ button simply by bringing them into conscious awareness. You may wish to try your hand at poetry, blogging, or perhaps even begin to write a book. Maybe you’d like to pick up a guitar and begin singing again, or as something new. Explore the art of storytelling. When there are no words for how you feel, art therapy can express those things that are hard to express or explain. The important thing in this process is to let them out, and to give them a ‘voice’. Momentary escape from the daily grind and becoming engaged in the creative process can be just the break a new mama needs. Sometimes we need to pull out all the stops and make a retreat for ourselves so we can catch our breath. This could mean actually getting away for a half day or a full day in order to take a class or a workshop, or it could simply mean having someone take care of baby while you carve out some time to create. Art therapy practiced in groups can connect the depressed mother to others, helping to relieve the isolated feelings often experienced in postnatal depression. At times like these it is very important to remember that we are not alone. We need to feel safe in order to share our deepest of experiences without having our feelings judged, tucked away, or ostracized. Support is paramount, and sometimes it needs to come from somewhere we are not used to receiving it from. We need to allow new doors to open, because this is a new journey. There will be different tools, processes, and methods available to us that we will need to utilize. Along with this, there will be new friends and colleagues that will be able to support us. If you wish to read more and dive a bit deeper into the world art therapy, two really wonderful resources are The Healing Power of Art (this is a workshop), and Art Can Heal Your Life. This is a very comprehensive book written by Shaun McNiff, but in this case you can get it in audio format. Now, if you’re like me and find humor to be some good medicine, then I urge you to check out Erma Bombeck’s book, I Lost Everything in the Post Natal Depression. The Art Therapy Sourcebook is also a highly recommended resource, especially for getting you started on your creative healing journey. If you prefer to start with some basic methods to get you started with creativity, before diving deeper into your emotions consciously, then you may wish to explore the avenue of adult coloring books (I wrote a post about those here). All art therapy processes are highly enjoyable, and fill us with renewed health, hope, and vibrancy! It is a calling, to bring us home to ourselves. That makes sense. I think art can really help with a lot of things. Creativity is a good thing. I like #7 the best. Taking those moments away can be so therapeutic, and it’s so damaging to neglect the need to do so! I love that you expanded on the definition of creative therapy to include, not just art, but any type of creative endeavor. I find that art and creativity is very helpful for me on difficult days. I have always been interested in Art Therapy. I think it’s a great idea. I would have never thought of art therapy for postnatal depression, but I bet it would be a great help to new mamas who are suffering from it. Art is wonderful therapy period! I haven’t painted in a while, and you’ve reminded me that I need to make some time to it soon. I think art therapy is a great way to ease stress and other problems. I find art or crafting very therapeutic and relaxing, just had more time to do it! I wish I would have known about art therapy after I had my babies, it sounds like such a great way to release emotion. I never thought about this but it totally makes sense. Art is a terrific outlet for releasing feelings and emotions. I totally understand. Oh I totally believe in artistic therapy! Making something creative helps the state of mind. Art is such a great way to express one’s feelings. I really do believe that I have gotten through some of the toughest times in my life through creativity. Doing something creative always eases my stress. I think art is a lot of fun! I think this makes so much sense! 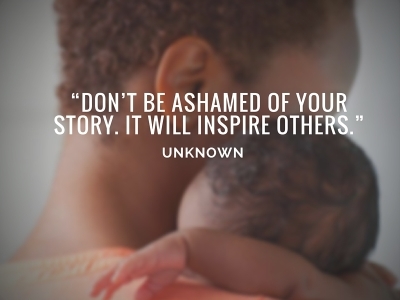 I wish there wasn’t such a negative stigma around Postnatal Depression. It’s so hard for women to recognize and accept in themselves, let alone having others judge you. I find any type of creative activity always makes me feel better. I can definitely see how art can be very therapeutic. I enjoy it myself! Awesome post! One of my friends swear by the therapy gained by art. I totally believe all of this! Thank you for this post! Art therapy is a nice way to treat all kinds of depression. It is wonderful that we do not have to rely on a one size fits all approach to therapy any longer. This is very true! Art therapy is good for the brain just as modern medicine is now using music therapy to help stimulate the body for regrowth after an accident and it also helps relieve pain.